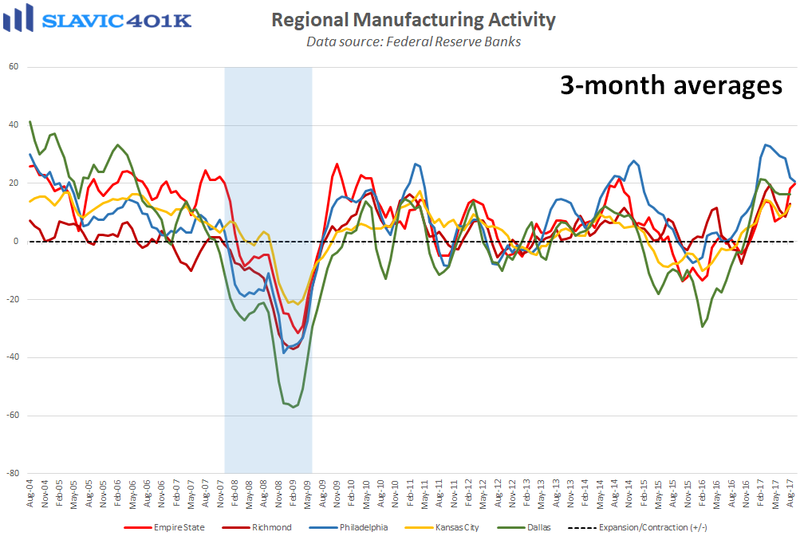 Manufacturing activity in the Mid-Atlantic region of the country firmed this month, according to a new report from the Federal Reserve Bank of Philadelphia. 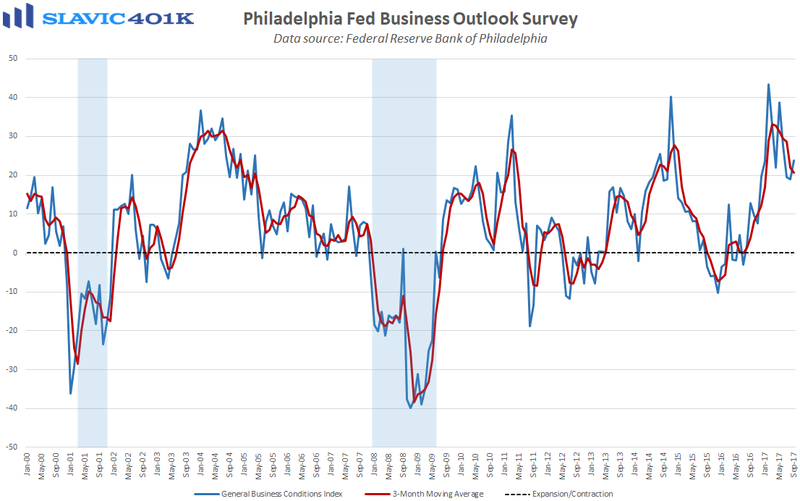 Specifically, the general business conditions index rose from +18.9 to +23.8 in September, the first monthly improvement since May and the highest headline reading since June. Under the hood, current measures of new orders and shipments strengthened but total employment and hours worked declined. Forward-looking indicators (six months ahead) also improved in September but reported capital expenditure plans fell slightly. Managers in this month’s survey were asked a few special questions which revealed that production increased for most (65.6 percent) firms in the third quarter of 2017. More than half (55.2 percent) of surveyed managers anticipate further acceleration in Q4, and when asked how production will be increased next quarter, 36.1 percent of respondents said that they will increase hours worked for their current staff. Thirty percent reported that they will bring on additional employees to boost production in Q4, and a quarter said that they will try to increase the productivity of the current staff without hiring additional workers.